"I am writing this letter is about customer services staff they were all amazing and very help full specialty the young man. He had helped us amazingly, it's all because of his extra ordinary efforts and quick thinking that we reach airport and catch the same flight which we had booked to go back to bangkok." Staff were outstanding and more than accommodating in every aspect. We had a nightmare missing our flight and they tried every avenue trying to get us on next flight. Even offering late checkout & storing our bags. The hotel is located outside of the centre of Patong which is a plus because you are not in the middle of the “night life” that is happening in Patong every night. This is especially a plus if you have young children that you don’t want to subject to this kind of scenery. If you however want to submerge yourself in the night life the hotel offers a shuttle to Bangla Road where everything happens. The shuttle only operates till 9pm so you have to take a tuk tuk back to the hotel that will set you back approx. 200 Baht. Sunset Spa which provided a full range of massage and beauty treatments for a reasonable price. There a three large private rooms each equipped with two elevated massage tables with hole for your head, a double bath, a shower, change room and toilet. 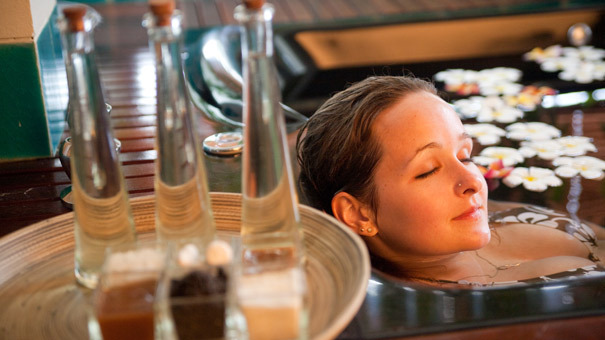 The spa services included body scrubs, all types of massages, baths, facials and other beauty treatments. The two ladies were very professional and friendly, so we highly recommend them. Promise me, you will get totally pampered.